This is my third pumpkin-related post! I constantly check out different food blogs (which is where I get all these wonderful recipes!) and everyone has been posting tons of pumpkin recipes. 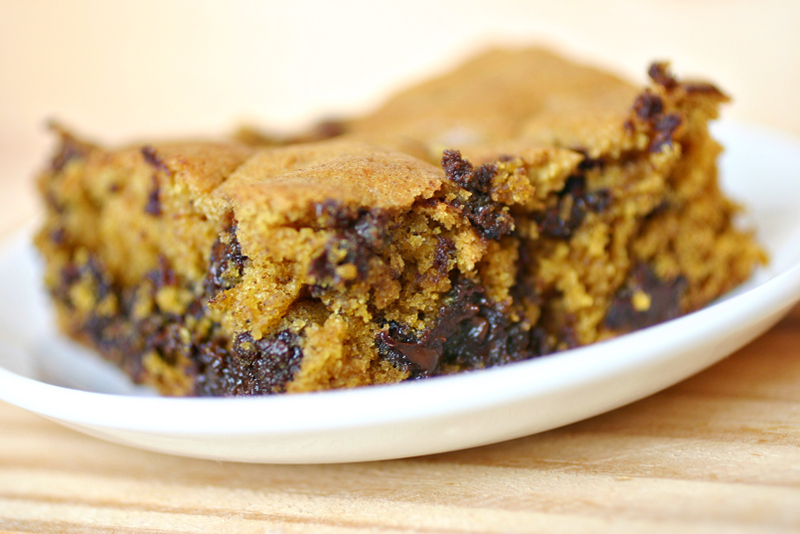 In the past, I haven’t made much with pumpkin besides pumpkin muffins but I’m enjoying using it in lots of recipes! 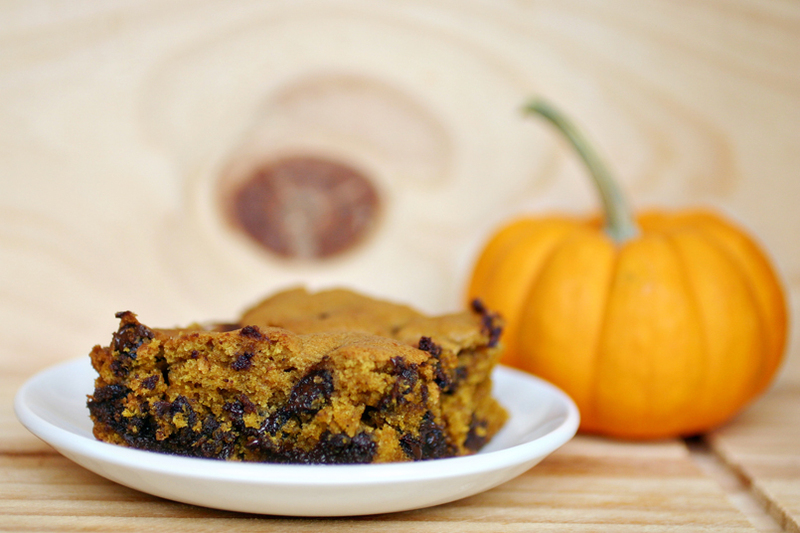 I needed something to make for our church picnic and I decided on these pumpkin chocolate chip bars from Two Peas & Their Pod. They were really easy to make and turned out very not-dry and delicious! Preheat oven to 350 degrees. Spray a 9-by-13-inch baking pan and put a large piece of parchment paper in the pan, so that its sticking up on the sides of the pan. 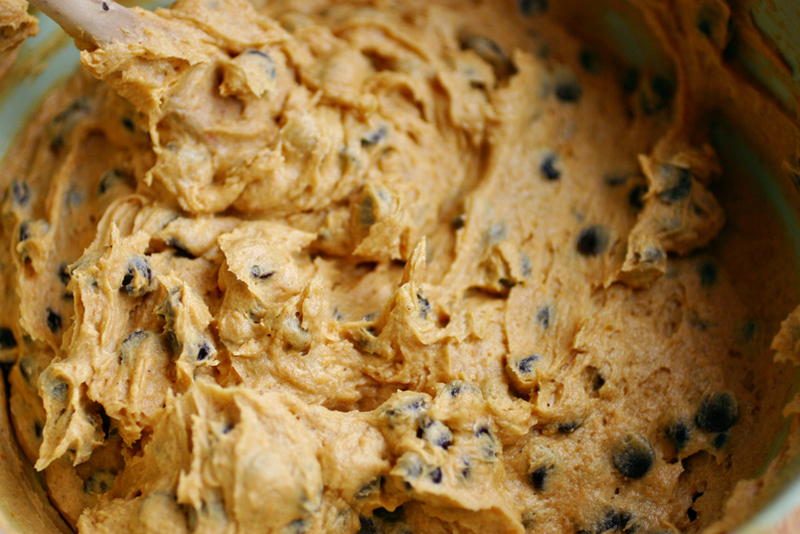 In a medium bowl, mix together flour, pumpkin pie spice, baking soda, and salt. On low speed, gradually mix in the dry ingredients until just combined. Fold in the chocolate chips. Spread batter evenly in prepared pan. Bake bars for 35-40 minutes or until edges begin to pull away from sides of pan and a toothpick inserted in center comes out with just a few moist crumbs attached. Cool bars completely in pan (haha yeah…didn’t do this). Cut into squares and serve. All The Things I’ve Ever Said!